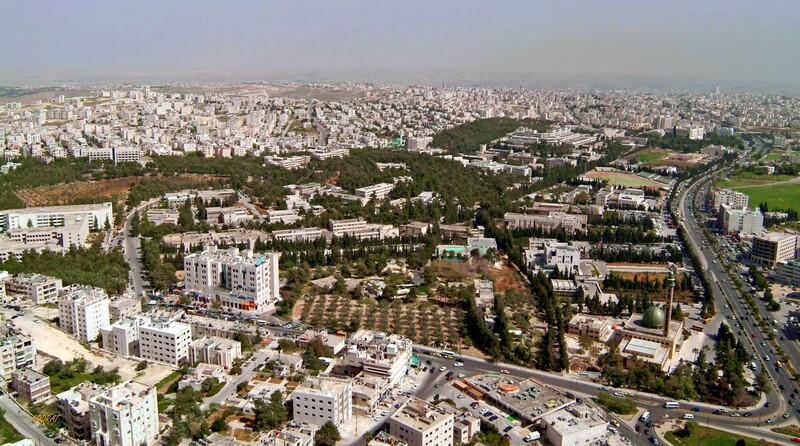 Sunday, September 2nd marked the 56th anniversary of the founding of the University of Jordan (UJ), the first provider of university education in Jordan. It represents, as His Majesty King Abdullah II once said: "an emblem of a process of building and giving to which all Jordanians have contributed, as they undertook challenges with resolve and determination, and succeeded in building modern Jordan as a country capable of keeping up with world developments and the spirit of the age". Jordanians remember with pride and honor when His Majesty the late King Hussein Bin Talal on September 2nd, 1962, issued a decree to establish the University of Jordan to be one of the main engines in ensuring a promising future for the Jordanians. "The establishment of this university was a great challenge, but King Hussein’s strong will and Jordanians’ determination were bigger than any challenge or difficulty," the King said at the University's golden jubilee in 2012. The University’s records reveal that the University embarked firstly as a campus consisting of two small buildings, eight faculty members, and it welcomed the first class of students numbered 167 students, of which were 18 female student only, in one school; the School of Arts. The school's first graduating class, the Class of 1966, had only 60 students. One student from the first class recalled what was meant to be enrolled at the first and only university in Jordan. Laila Rasas recalled the first day she stepped foot at UJ: "It was a cold January day of 1962 and we didn't know where to go when we arrived at the campus, until a security personal escorted us to a large hall where we met the UJ's first dean and president; professor Naser Ed-din Al-Assad". Rasas, who graduated with a bachelor degree in Arabic Literature, added that she was grateful and lucky to have the chance to study at UJ even though the campus lacked facilities at that time. "The progression between how it was then to how it is now is quite remarkable and a source of pride to me". Despite the economic and human resources challenges that prevailed in the country in the middle of the last century, the founding of UJ was a milestone in the development of Jordan. "The establishment of the University of Jordan was very important for the Jordanian people; it symbolized not only the nation's think tank and intellect, but also hope for a better future," UJ President, Professor Abdul karim Al Qudah said. Nonetheless, the rapid expansion of the University, in the establishment of faculties, deanships, scientific centers, units and service departments was quite impressive. The establishment of educational programs and research projects aimed at serving the various local production sectors was crucial to the country's development. "There were only three schools when I joined the University as a student back in 1972, with only few thousand students enrolled, all were Jordanians," Al Qudah said. "Now we have around 46 thousand students from all around the globe". Currently, the University has a wide range of educational programs that cater to the needs of both the Jordanian and Arab markets. Students can choose from more than 250 academic programs offered by 24 faculties in various human and applied scientific disciplines, medical and health. One of the key achievements of the University is the foundation of its branch in Jordan's only seaport, Aqaba, in 2009, as an epicenter to support the city's accelerated growth in the various industrial and economic fields. The branch currently encompasses five Schools: School of Information Technology and Systems, School of Languages, School of Management and Finance, School of Marine Sciences, School of Tourism and Hospitality. The University has significantly expanded in its Higher Education, and specified scientific research programs, which support national development efforts. The statistics show there are 38 PhD programs, 111 Master Programs and 16 programs in higher specialization in medicine, a program of higher specialization in dentistry, and three diploma programs. "10 % of our students are in the postgraduate level; a dimension that is significant to the University and to the development of the country," the President indicated. UJ has also established ties with major universities and higher educational institutions worldwide, paving the way for Jordanians to benefit from international expertise and scientific developments. Likewise, UJ opened its doors to students from all walks of life. It received around 3200 foreign students from over 70 nationalities this academic year. Because students are at the core of the educational process and are the future of Jordan, the Deanship of Student Affairs strives to deliver motivating extracurricular activities. In addition, the University is keen to empower its students politically through the successful experience of the Students' Union which plays an active role in shaping policies and strategies on campus. UJ's ambitious plans to continue to lead academic education in Jordan have brought the quality of education to the forefront of its priorities. For the first time, the QS World University Rankings by Subject 2018 ranked UJ among the best universities in the world in three scientific areas and four academic subjects. The University is also ranked in the 2018 QS Graduate Employability Rankings’ list for the top 500 universities. The University, its faculty members, students, and alumni have a long history in receiving accolades and awards for outstanding performance and high-level efficiency. One worth mentioning is the order of Al-Hussein for Distinguished Contributions which was bestowed by His Majesty the King upon the University on its 50th anniversary in 2012.